At Irish Life & Lore, we are committed to protecting and respecting your privacy. 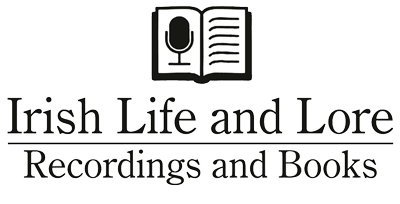 Who are Irish Life & Lore? Since 1990 Maurice and Jane O’Keeffe of Tralee, Co. Kerry, have produced thousands of recordings for their Irish Life and Lore Series. The O’Keeffes understand that the unique oral heritage of Ireland; the peoples’ stories, attitudes, behaviours and accents are diminishing in the face of modernity and the internet age and these rare elements should be preserved. Numerous aspects of Irish social and national history and the essence of old Ireland, which was in danger of being lost, is now documented through Irish Life and Lore’s audio recordings and books, and so the work continues. Several illustrated books have been edited by Jane O’Keeffe, based on specific Irish Life and Lore oral history Collections.